83 Commercial Real Estate & Properties in Bundall are listed in 6 categories. We have 53 OfficesSale & Lease , 20 ShowroomsSale & Lease , 5 Industrial Warehouses Sale & Lease , 3 Retail ShopsSale & Lease , 2 Other Commercial PropertiesSale & Lease and 1 Medical and Consulting PropertiesSale & Lease . The top floor of this newly refurbished building has now become available. With an almost new glass fit out in place, this office will be perfect for a range of business types. Becoming available in May of this year, inspect and commit today. 305sqm occupying a full floor Level 5 Office Space Glass fit out comprising of reception, board room, kitchen, offices and open plan Huge amount of natural light 360 degree views Newly refurbished building Great on site parking Centrally located in Bundall Offering an ease for staff utilizing public transport 24 hour access Available May, inspect today Approx Disclaimer: Ray White has not independently checked any of the information we merely pass on. We make no comment on and give no warranty as to the accuracy of the information contained in this document which does not constitute all or any part of any offer or contract by the recipient. Prospective purchasers / lessees must rely on their own enquiries and should satisfy themselves as to the truth or accuracy of all information given by their own inspections, searches, inquiries, advices or as is otherwise necessary. No duty of care is assumed by Orchid Avenue Realty trading as Ray White Surfers Paradise Commercial divisions toward the recipient with regard to the use of this information and all information given is given without responsibility. 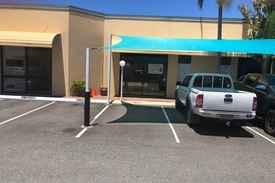 Newly available 55sqm office space 136sqm + 77sqm tenancies NOW LEASED Open plan with kitchenette Extremely cheap rent On site parking Very central location Available now, Inspect today Approx Disclaimer: Ray White has not independently checked any of the information we merely pass on. We make no comment on and give no warranty as to the accuracy of the information contained in this document which does not constitute all or any part of any offer or contract by the recipient. Prospective purchasers / lessees must rely on their own enquiries and should satisfy themselves as to the truth or accuracy of all information given by their own inspections, searches, inquiries, advices or as is otherwise necessary. No duty of care is assumed by Orchid Avenue Realty trading as Ray White Surfers Paradise Commercial divisions toward the recipient with regard to the use of this information and all information given is given without responsibility. 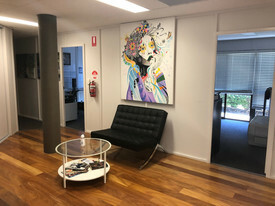 Well Presented Ground Floor Office $2,535 pcm + GST (Includi..
117m² Reception, 3 office rooms, boardroom/open plan space, plus kitchen Fully cabled for phone data Air conditioned maintained by Landlord On site parking available at a great rate Call Teresa on 0424 054 226 to make an inspection! Approximately Disclaimer: Ray White has not independently checked any of the information we merely pass on. We make no comment on and give no warranty as to the accuracy of the information contained in this document which does not constitute all or any part of any offer or contract by the recipient. Prospective purchasers / lessees must rely on their own enquiries and should satisfy themselves as to the truth or accuracy of all information given by their own inspections, searches, inquiries, advices or as is otherwise necessary. No duty of care is assumed by Orchid Avenue Realty trading as Ray White Surfers Paradise Commercial divisions toward the recipient with regard to the use of this information and all information given is given without responsibility. Secure Tenant With Listed Company Potential 7-8% Return Leased Investment With Li.. Location... Location... Location! With a proven and secure ASX listed firm which is tenanting this unit for the next 3 years this is the perfect way to start or even add to your growing commercial property portfolio. 76m2 of lettable area 1 car park allocated Rental return of $25,000pa ($325m2) In the heart of the Gold Coast, situated in, the Gold Coast Turf Club and HOTA. Not to mention a stone's throw from One50 Public House. Bundall is predominately an Office/Showroom precinct and home to the Gold Coast City Council Chambers, this is a popular destination for businesses. The recent completion of the road widening project on the state route "Bundall Road" has also increased the attraction for tenanting businesses to secure space. This precinct is 15 minutes from Southport CBD Broadbeach. 5 minutes from Surfers Paradise and most suburbs can be reached within 30 minutes from this location. Approx. Disclaimer: Ray White has not independently checked any of the information we merely pass on. We make no comment on and give no warranty as to the accuracy of the information contained in this document which does not constitute all or any part of any offer or contract by the recipient. Prospective purchasers / lessees must rely on their own enquiries and should satisfy themselves as to the truth or accuracy of all information given by their own inspections, searches, inquiries, advices or as is otherwise necessary. No duty of care is assumed by Orchid Avenue Realty trading as Ray White Surfers Paradise Commercial divisions toward the recipient with regard to the use of this information and all information given is given without responsibility. Fitted And Furnished | Prime Location | Great Location $1644pw | 12 Person Works..
PROPERTY OVERVIEW $1644pw Price incl. New to the market in 2019: cost effective serviced office spaces in Bundall with unbeatable views and flexible terms. Situated in one of the Gold Coast’s most in demand commercial office buildings, this new business centre is designed to cater to companies of all sizes and industries, from one person startups through to multinationals and project teams. Options for growth within the centre are limitless as you can rent desks, offices and business services in your own tailored package and add or remove them as you go. The advertised price includes furniture, internet and 24/7 access with round the clock reception services and on demand IT support. You’ll have use of printers and meeting room facilities on a pay per use basis with simple monthly billing for everything to do with the rental. Be inspired by incredible 360 degree views over the ocean, hinterland, local canals and highrises of Surfers Paradise – this workspace is situated on one of the building’s top floors so you can work to a stunning Gold Coast backdrop. Take a break on a spacious balcony and collaborate with your team in a creative breakout zone. With five star service and a network of business centres in Australia’s major cities, you can even travel and enjoy beneficial rates in other locations. Flexi terms start from one month – book a tour today to view and secure your office space before opening day in April 2019. The Wyndham Building at Corporate Court bolstered the Gold Coast’s portfolio of A Grade office space upon completion in 2009. Recognised for its sustainability measures with two 4 star NABERS ratings in water and energy, the premier office park boasts a marble clad lobby for a magnificent entry statement and two floors of car parking for great tenant convenience. Office floors are serviced by four lifts and enjoy sweeping views of the Gold Coast. There is a fully licensed cafe and a fitness centre within the Corporate Centre precinct and there are communal balconies for all to enjoy. This strategic Bundall position places your business on a high profile corner of a major arterial road and within walking distance to banks, restaurants, cafes and bars. (Note that all display images are indicative as this workspace is due to be completed in mid April 2019). The advertised office space is perfect for a team of 12. If you need more or less space, we have over 30,000 furnished workspaces all over the world suitable for a team of 1 to 200+. Our award winning team offer a free service that will help you find the perfect solution for your needs, so reach out if you need more help. What you get for your weekly rent , 24/7 Access , Access to internal breakout areas , Access to kitchen facilities , Access to secure printer and scanner , A local business telephone number and handset , Dedicated IT and communications support , Dedicated receptionist to manage your calls and greet your guests , Flexible terms , FREE business networking events , Fully equipped boardrooms, meeting rooms and day offices (fees may apply) , One simple bill for everything related to your workspace , Secure high speed Internet Building features , Air conditioning , Car parking in building (Paid) , Company branding in foyer , Conference facilities available , Dedicated men and ladies bathrooms , Direct access to public transport , Disabled access and facilities , End of trip facilities e.g showers, bike racks , Gym and fitness centre close by , New fit out , Onsite Cafe / Restaurant , Private offices and dedicated desks available Central Gold Coast positioning with plenty of parking 10 minute drive to the M1 freeway. Short stroll to Chevron Island restaurant district Multiple bus stops within 50 metres 2 minute drive to Surfers Paradise Who is Office Hub? Office Hub is the world\'s No.1 marketplace for office space. We have a huge global selection of coworking spaces, serviced offices and shared office spaces with flexible options to suit teams from 1 200 people. We\'ll take you on a tour of all the workspaces that fit your needs and work on your behalf to get the best price possible. We\'ll help you discover how shared office space can be the most beneficial and budget friendly solution for your business. www.office hub.com Conditions apply – the advertised price includes any incentives offered based on a 12 month agreement and is available to new tenants only. Please note that the rental rate may increase for a shorter rental period. A portion of the square meterage factors in access to shared space. Price Reduced - Centrally Located Ground Floor Office Price Reduced again $695.. Situated on the ground floor of the recently renovated "Pegasus Centre" on Bundall Road and with ample parking and huge potential this property is well worth a look: 271sqm of ground floor office Disabled access Large under ground car park with 5 exclusive use spaces Fit out comprising reception, boardroom, kitchen, bathrooms and multiple work stations Shared out door court yard / entertaining area Very cheap annual outgoings The Pegasus Centre fronts the busy Bundall Road and is surrounded by thriving commercial businesses, retailers, gyms, cafes and eateries. My vendor has made a clear decision to move on, and requires a timely transaction. Why not make an offer... For more information, or to arrange an inspection, please contact exclusive marketing agent Adam Young on 0424 191 252. Approx Disclaimer: Ray White has not independently checked any of the information we merely pass on. We make no comment on and give no warranty as to the accuracy of the information contained in this document which does not constitute all or any part of any offer or contract by the recipient. Prospective purchasers / lessees must rely on their own enquiries and should satisfy themselves as to the truth or accuracy of all information given by their own inspections, searches, inquiries, advices or as is otherwise necessary. No duty of care is assumed by Orchid Avenue Realty trading as Ray White Surfers Paradise Commercial divisions toward the recipient with regard to the use of this information and all information given is given without responsibility. Entire First Floor Accessed By Lift $280 psm + GST (Including..
190m² Reception, 6 partitioned offices, open plan space, plus kitchen This space has plenty of potential and available parking at a great rate Ducted air conditioning and maintained by Landlord Call Teresa 0424054 226 to make an inspection! Approximately Disclaimer: Ray White has not independently checked any of the information we merely pass on. We make no comment on and give no warranty as to the accuracy of the information contained in this document which does not constitute all or any part of any offer or contract by the recipient. Prospective purchasers / lessees must rely on their own enquiries and should satisfy themselves as to the truth or accuracy of all information given by their own inspections, searches, inquiries, advices or as is otherwise necessary. No duty of care is assumed by Orchid Avenue Realty trading as Ray White Surfers Paradise Commercial divisions toward the recipient with regard to the use of this information and all information given is given without responsibility. Bundall Office - Excellent Value For Money! $230 psm + GST (Including..
235.6m² Level 1 office Open plan with 3 partitioned offices plenty of natural light Fully cabled for phone data, plus ducted air conditioning Outgoings included in rent plus electricity is bulk metered at a very affordable rate of $26.50 psm PA On site parking available at a great rate Approximately Disclaimer: Ray White has not independently checked any of the information we merely pass on. We make no comment on and give no warranty as to the accuracy of the information contained in this document which does not constitute all or any part of any offer or contract by the recipient. Prospective purchasers / lessees must rely on their own enquiries and should satisfy themselves as to the truth or accuracy of all information given by their own inspections, searches, inquiries, advices or as is otherwise necessary. No duty of care is assumed by Orchid Avenue Realty trading as Ray White Surfers Paradise Commercial divisions toward the recipient with regard to the use of this information and all information given is given without responsibility. FACTORY 4 Available now 84sqm central Gold Coast warehouse. Located in Bundall this property offers easy access and a wide range of light industrial/mixed uses. Next to Australian Shower Screens Conveniently located in Bundall, this property offers easy access and a wide range of light industrial/mixed uses. Contact this office to arrange an inspection today! Conveniently located in Bundall, this property offers easy access and a wide range of light industrial/mixed uses. Contact this office to arrange an inspection today! 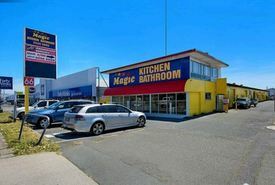 196m² showroom fronting busy Bundall Road High profile location with off road parking Fringe Business Zoning provides a multitude of use options Suit Home Improvement Store, Furniture Sale, or high profile office Signage option also available This will lease quickly at only $70,000 p.a. + GST Approx Please contact the listing agent for more details by clicking on the link above. Disclaimer: Ray White has not independently checked any of the information we merely pass on. We make no comment on and give no warranty as to the accuracy of the information contained in this document which does not constitute all or any part of any offer or contract by the recipient. Prospective purchasers / lessees must rely on their own enquiries and should satisfy themselves as to the truth or accuracy of all information given by their own inspections, searches, inquiries, advices or as is otherwise necessary. No duty of care is assumed by Orchid Avenue Realty trading as Ray White Surfers Paradise Commercial divisions toward the recipient with regard to the use of this information and all information given is given without responsibility. This showroom is available now opposite the new Homemaker Centre (Old Masters). This will be the place to be please call today before you miss out! National tenant wanted to join others including Beds R Us Rebel. 501m2 showroom Massive exposure to Upton Street Great signage opportunities Glass frontage with rear roller door access Good truck access at the rear Ample parking at both the front and rear Fully ducted air conditioning High ceilings throughout Mixed Use Zoning Approx Disclaimer: Ray White has not independently checked any of the information we merely pass on. We make no comment on and give no warranty as to the accuracy of the information contained in this document which does not constitute all or any part of any offer or contract by the recipient. Prospective purchasers / lessees must rely on their own enquiries and should satisfy themselves as to the truth or accuracy of all information given by their own inspections, searches, inquiries, advices or as is otherwise necessary. No duty of care is assumed by Orchid Avenue Realty trading as Ray White Surfers Paradise Commercial divisions toward the recipient with regard to the use of this information and all information given is given without responsibility. Well Presented Office Suites Available Now $3,250 pcm + Outgoings + .. Impressive Building With New Leasing Options $3,740 pcm + Outgoings + ..
113m2 258m2 available 274sqm NOW LEASED Full fit out including offices, open plan, reception and kitchen Fresh paint and new carpet throughout Ideally centrally located Quick access to Southport, Surfers Paradise and Broadbeach business centres Call Renee to arrange an inspection today Approx Disclaimer: Ray White has not independently checked any of the information we merely pass on. We make no comment on and give no warranty as to the accuracy of the information contained in this document which does not constitute all or any part of any offer or contract by the recipient. Prospective purchasers / lessees must rely on their own enquiries and should satisfy themselves as to the truth or accuracy of all information given by their own inspections, searches, inquiries, advices or as is otherwise necessary. No duty of care is assumed by Orchid Avenue Realty trading as Ray White Surfers Paradise Commercial divisions toward the recipient with regard to the use of this information and all information given is given without responsibility. 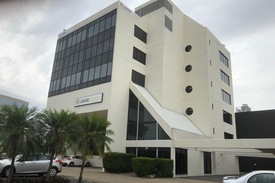 Level 2 office suite available now 123m2 274sqm NOW LEASED Full fit out including offices, open plan, reception and kitchen Fresh paint and new carpet throughout Ideally centrally located Quick access to Southport, Surfers Paradise and Broadbeach business centres Call Renee to arrange an inspection today! Approx Disclaimer: Ray White has not independently checked any of the information we merely pass on. We make no comment on and give no warranty as to the accuracy of the information contained in this document which does not constitute all or any part of any offer or contract by the recipient. Prospective purchasers / lessees must rely on their own enquiries and should satisfy themselves as to the truth or accuracy of all information given by their own inspections, searches, inquiries, advices or as is otherwise necessary. No duty of care is assumed by Orchid Avenue Realty trading as Ray White Surfers Paradise Commercial divisions toward the recipient with regard to the use of this information and all information given is given without responsibility. This beautiful office has now just become available. This office has everything you could ask for high end fit out in place, great exposure, stunning architectural design 331sqm of office space Full existing fit out with reception, multiple offices, boardrooms, kitchen An abundance of natural light Great on site parking Central location with 5 minutes to Southport, Surfers, Broadbeach Ashmore Inspect and commit today Approx Disclaimer: Ray White has not independently checked any of the information we merely pass on. We make no comment on and give no warranty as to the accuracy of the information contained in this document which does not constitute all or any part of any offer or contract by the recipient. Prospective purchasers / lessees must rely on their own enquiries and should satisfy themselves as to the truth or accuracy of all information given by their own inspections, searches, inquiries, advices or as is otherwise necessary. No duty of care is assumed by Orchid Avenue Realty trading as Ray White Surfers Paradise Commercial divisions toward the recipient with regard to the use of this information and all information given is given without responsibility. 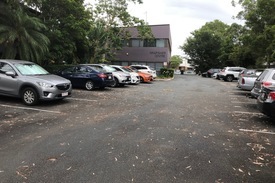 Whole First Floor 150m2 office space available Plenty of parking included in tenancy Situated in the Bundall commercial precinct Quick access to Surfers Paradise and Southport Available soon Call Renee to arrange an inspection! approx Disclaimer: Ray White has not independently checked any of the information we merely pass on. We make no comment on and give no warranty as to the accuracy of the information contained in this document which does not constitute all or any part of any offer or contract by the recipient. Prospective purchasers / lessees must rely on their own enquiries and should satisfy themselves as to the truth or accuracy of all information given by their own inspections, searches, inquiries, advices or as is otherwise necessary. No duty of care is assumed by Orchid Avenue Realty trading as Ray White Surfers Paradise Commercial divisions toward the recipient with regard to the use of this information and all information given is given without responsibility. 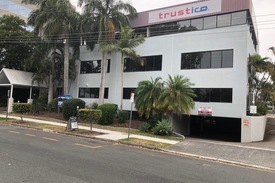 95sqm office space available now on the Ground Floor Quality building with a solid mix of tenants Open plan, plenty of natural light, air conditioning and kitchenette 64m2 204m2 offices also available Central location in Bundall, close to other major CBD's of the Gold Coast No outgoings Call Renee today for an inspection Approx Disclaimer: Ray White has not independently checked any of the information we merely pass on. We make no comment on and give no warranty as to the accuracy of the information contained in this document which does not constitute all or any part of any offer or contract by the recipient. Prospective purchasers / lessees must rely on their own enquiries and should satisfy themselves as to the truth or accuracy of all information given by their own inspections, searches, inquiries, advices or as is otherwise necessary. No duty of care is assumed by Orchid Avenue Realty trading as Ray White Surfers Paradise Commercial divisions toward the recipient with regard to the use of this information and all information given is given without responsibility. First Level office 191.8m2 available Existing fit outs in place air conditioning throughout Allocated car parking with plenty of surrounding parking Five levels all with lift access Situated in the Bundall commercial precinct Quick access to Surfers Paradise and Southport approx Disclaimer: Ray White has not independently checked any of the information we merely pass on. We make no comment on and give no warranty as to the accuracy of the information contained in this document which does not constitute all or any part of any offer or contract by the recipient. Prospective purchasers / lessees must rely on their own enquiries and should satisfy themselves as to the truth or accuracy of all information given by their own inspections, searches, inquiries, advices or as is otherwise necessary. No duty of care is assumed by Orchid Avenue Realty trading as Ray White Surfers Paradise Commercial divisions toward the recipient with regard to the use of this information and all information given is given without responsibility. This prime exposure showroom is opposite Masters which will soon become a Homemaker Centre. New showroom development to be built on the other side. This will be the place to be please call today before you miss out! 382m2 showroom on busy Bundall Road Massive exposure circa 55K cars per day Great phylon signage on Bundall Road Kitchen 2 x showers Male, female and disabled toilet Indoor recreation licence with this tenancy Owners will now look at LONG TERM leases Please call for an inspection today Approx Disclaimer: Ray White has not independently checked any of the information we merely pass on. We make no comment on and give no warranty as to the accuracy of the information contained in this document which does not constitute all or any part of any offer or contract by the recipient. Prospective purchasers / lessees must rely on their own enquiries and should satisfy themselves as to the truth or accuracy of all information given by their own inspections, searches, inquiries, advices or as is otherwise necessary. No duty of care is assumed by Orchid Avenue Realty trading as Ray White Surfers Paradise Commercial divisions toward the recipient with regard to the use of this information and all information given is given without responsibility.